World Health Day’s message is simple: giving people access to healthcare without the prospect of financial hardship. This is regardless of where they’re from; they could be in Africa, Asia, South America or the United States. What matters to the World Health Organisation (WHO), the group behind it, is that there’s “Health for All”. 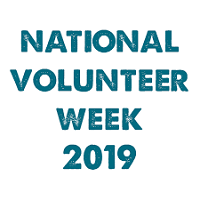 Volunteer Canada is thrilled to launch the theme for National Volunteer Week (NVW) 2019: The Volunteer Factor – Lifting Communities. We see it everyday! Volunteers leading neighbourhood activities, lifting the collective confidence to solve common issues. Volunteers tutoring people to read, lifting their self-esteem and increasing their success in school. Volunteers visiting people, lifting their spirits and keeping them connected. Volunteers coaching sports teams, lifting community pride and creating life-long bonds. Volunteering can also give volunteers a lift. When we volunteer, our spirits are lifted when we have the opportunity to work with others. Our sense of purpose is lifted when we see how our efforts have helped someone else. Our confidence lifts when we gain skills and experience through volunteering, helping us get into a competitive school program or successfully find a job. What lifts your chances to achieve your goals…It’s the Volunteer Factor! Since the 1950s, bright yellow daffodils have arrived in communities across Canada to mark the beginning of the Canadian Cancer Society Daffodil Campaign. The daffodil is resilient. It survives our harsh winters and is the first flower to bloom in the spring – a time of renewal and hope. The daffodil is a symbol of strength, courage and life. During our annual Daffodil Campaign, Canadians rally around this symbol and take action to support groundbreaking research and support programs that make life better for those affected by cancer. Parkinson’s disease is a neurodegenerative condition which refers to a progressive loss of nerve cells (neurons) and/or their function. Every April, the Parkinson’s Foundation engages the Parkinson’s community near and far to raise awareness about both Parkinson’s and the Foundation. 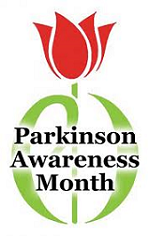 Awareness is key as we work toward a world without Parkinson’s disease. Parkinson’s Awareness Month is an opportune time to share tips and resources that help make life better for people with Parkinson’s. Every day people in our PD community face obstacles — some anticipated, others new. April’s birthstone is the diamond. The birth flower is typically listed as either the Daisy (Bellis perennis) or the Sweet Pea. The zodiac signs for the month of April are Aries (until April 20) and Taurus (April 21 onwards).